Preperation: Add one Sachet (3g) in to 100-120ml of water, stir well. Once opened, consume as soon as possible. 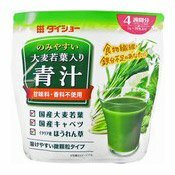 Simply enter your details below and we will send you an e-mail when “Instant Green Vegetable Drink (青蔬菜粉)” is back in stock!